I can not believe this hasn't been done before. Looking through MTS's music downloads, there are very few new pianos. 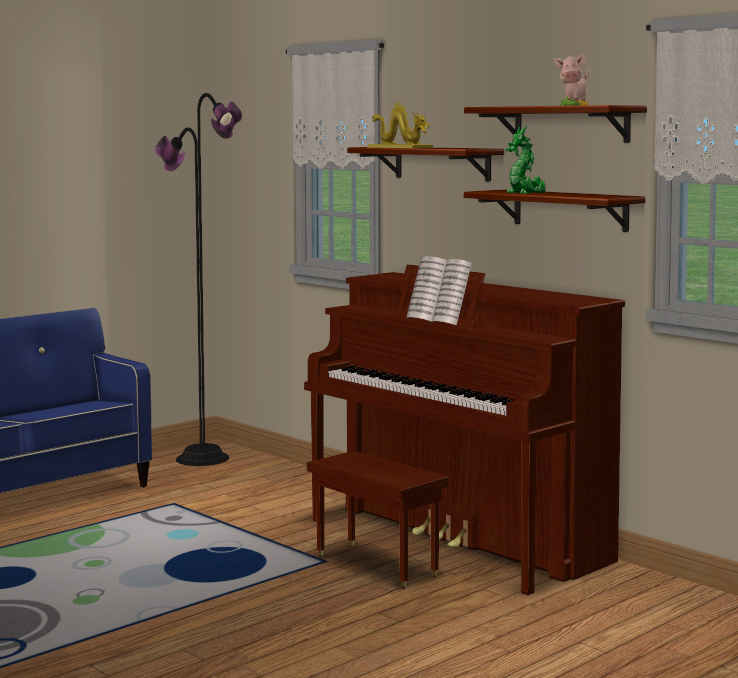 There are a couple keyboards and a bunch of recolors, but very few new good looking pianos. 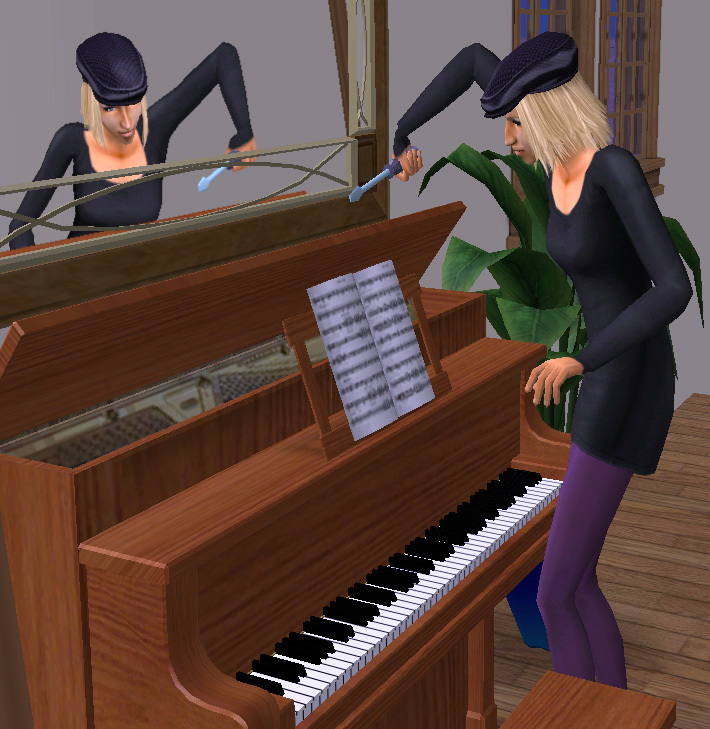 I much prefer to give my sims a piano rather than give them a guitar or a bass, but I'm so tired of that awful redish antiquey salon piano. It looks nothing like what I grew up with. 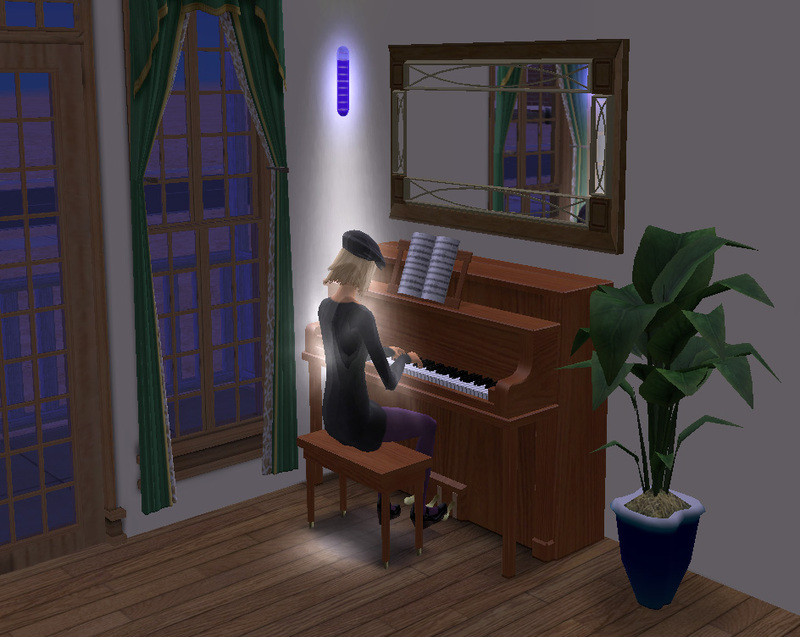 I want to give my sims my mom's piano, the one she played Fur Elise on and music from Star Trek, and the one where I struggled with my scales and later Greensleeves. That's a piano to me. This upload is dedicated to my mom. We'd been moving around a lot lately so we put the piano in storage and she has been without it for a year and a half now. Luckily, it's been scheduled to be brought home again. 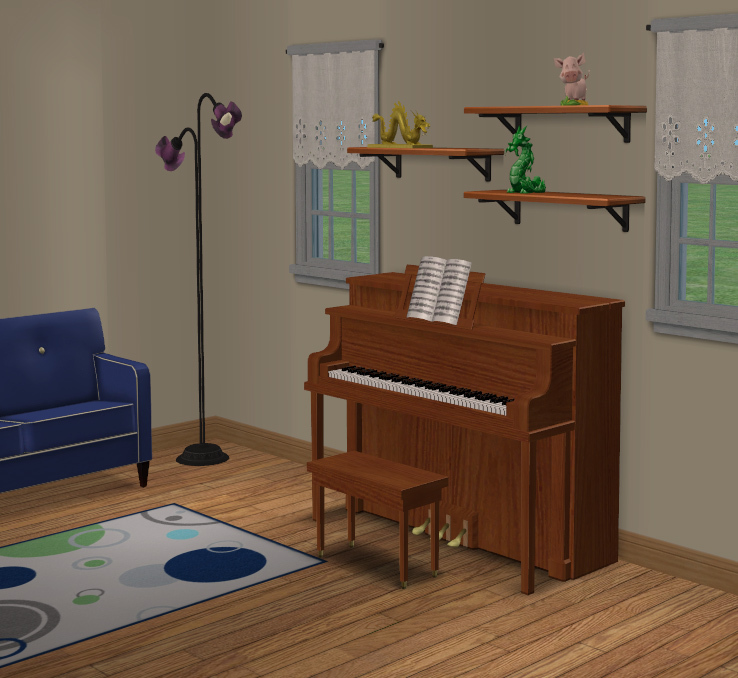 The Daughters of Chimeway Upright Piano comes in a lovely Oak wood, but also is available in Walnut, Cherry, and an Ebony finish. It can be yours for the fair price of $2,500, coming in under the original by a thousand dollars. 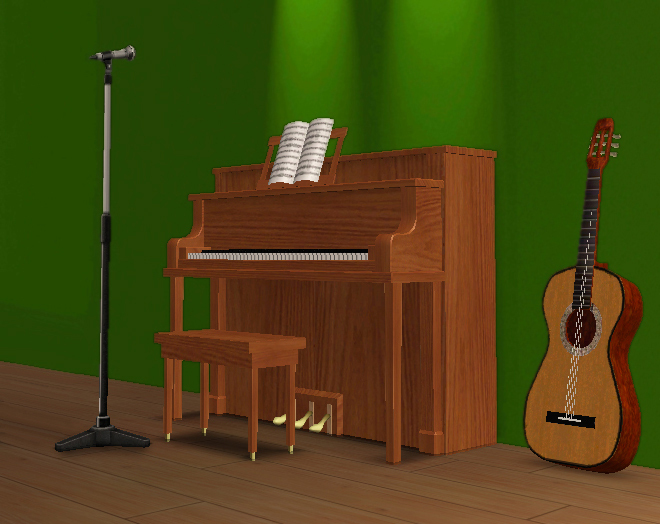 For reference, the Maxis piano is 3210/4220. For a four tile object, that's still within normal limits, but it's still a lot! My simplified version is half of Maxis. Because of how much shorter my mesh is, the tuning animation is a little weirder. See pic below. I don't find it to be too much of a problem because tuning isn't the main animation, so it doesn't get called all that often. Creds to Frances Midlock, a LaFiesta Tech student turned Piano Virtuoso. And to Ninika for her outfit. Thanks Mom for everything! You are my best friend and I know how much you love your piano, hopefully some of my simmies will feel the same about their new pianos, Frances does! These recolours may or may not be endorsed by Phaenoh. 3 LG TV's + Table. Any Surface TV Included.